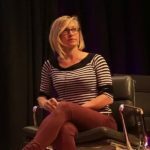 Elisabeth Jaquette is a translator from Arabic, instructor at Hunter College, and executive director of the American Literary Translators Association (ALTA). 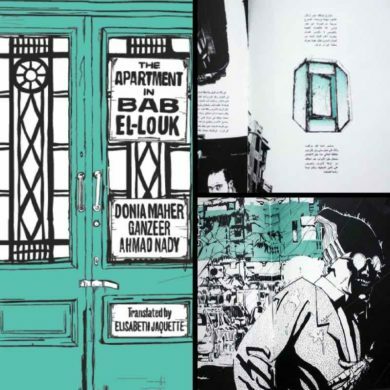 Among her book-length translations are The Apartment in Bab el-Louk by Donia Maher, illustrated by Ganzeer and Ahmed Nady, and The Queue by Basma Abdel Aziz. Elisabeth is the recipient of a PEN/Heim Translation Grant and an English PEN Translates Award. Her work has been shortlisted for the TA First Translation Prize, and longlisted for the Best Translated Book Award. Ganzeer, a graphic designer since 2005, has been involved in contemporary art since 2007 with a variety of exhibitions between Cairo, Germany, Holland, Poland, Italy, Brazil, USA, Emirates, and Amman. 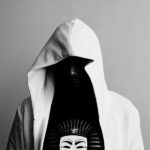 He has become most known outside of the typical art sphere for his street art and activism efforts throughout 2011. The Guardian of London has described Ganzeer as a major player in an emerging "counter-culture art scene on the mainstream radar," and Al-Monitor.com has placed him on a list of fifty people shaping the culture of the Middle East today. Art In America's C. Viveros-Faune has associated Ganzeer with today's "New Realism," a label attributed to an art-form responding to a host of global challenges connected to the majority of people outside the standard art bubble. Edward Gauvin has received prizes, fellowships, and residencies from PEN America, the NEA, the Fulbright program, Ledig House, the Lannan Foundation, and the French Embassy. His work has won the John Dryden Translation prize and the Science Fiction & Fantasy Translation Award. Other publications have appeared in The New York Times, Harper's, and World Literature Today. The translator of eight works of prose fiction and over 300 graphic novels, he is a contributing editor for comics at Words Without Borders. 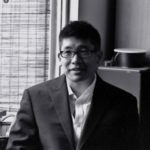 He is currently a National Endowment for the Arts Literature Translation Fellow for his work on Pierre Bettencourt, whom he has written about at Weird Fiction Review. 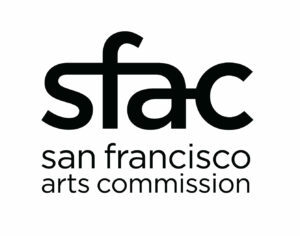 This event is supported in part by grants from the San Francisco Arts Commission and from San Francisco Grants for the Arts.